In the ever evolving world of snow science & avalanche theory the pragmatic skier & mountaineer needs to identify the salient points & make pragmatic decisions accordingly. This is easier said than done and deciding which elements of avalanche theory dictate decision making in the mountains takes skill, experience & judgement. Models for forecasting hazard and local avalanche bulletins are helpful yet far from definitive therefore the skill required by skiers & climbers is actually ‘managing uncertainty’. 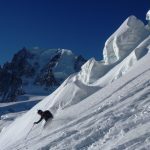 This page is an evolving collection of notes from various avalanche training sources & will hopefully provide a useful communal resource of practical information that we hope you can both use & contribute further too. The following notes are personal reflections inspired from attending training courses or reading articles. 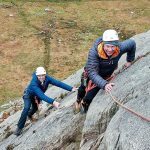 They will hopefully stimulate thought & debate but are in no sense designed to replace attending a dedicated training course with an IFMGA Mountain Guide. Reviewing many avalanche emergency responses has highlighted common areas where time can be easily wasted during the search. One classic way of this happening is for people searching on the debris to still have their transceivers transmitting thus confusing the search for the actual buried victim. Another problem area can be the fine search where the decision to transfer from searching with a transceiver to starting a pinpoint search with the probe is made. 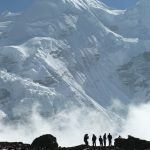 To address this last point Mammut have changed the way their Pulse transceivers give instructions in this final phase of the transceiver search. The arrows are more directive and an actual indication instructs you to start probing. The other two stated benefits of the upgrade are an expanded first signal display and a more efficient course search. In testing we found genuine benefits to all three aspects of the upgrade and you can watch our short video below to infrorm yourself of the changes – and then get practicing yourself! 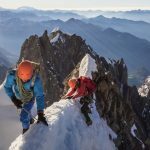 Mammut Pulse Transceiver Firmware 4.0 from High Mountain Guides on Vimeo. 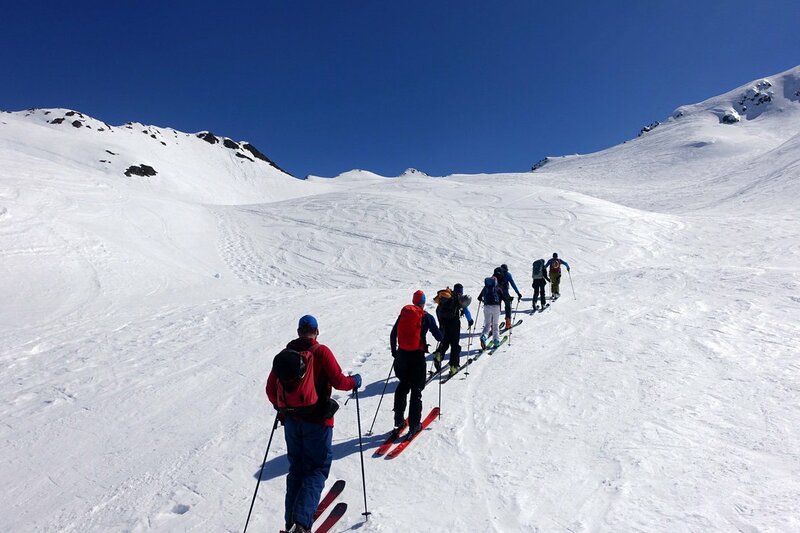 Skinning – an essential and enjoyable part of initial ski touring training. Kick turns come later! Several smartphone apps have been produced for IPhone & Android operating systems designed to be able to search for each other in the event of an avalanche burial. 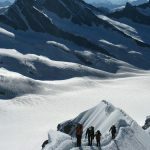 In addition to the search facility, which is reviewed here, is an interesting feature which can notify other rescuers of an avalanche incident by phone. The claimed range of 40-50m was often severely reduced by the ability of wifi & bluetooth signals to pass through snow, often reducing signal strength down to as little as 12m. Due to a different style of operation & transmission smartphone apps do not transmit at 457 kHz and thus don’t conform to international transceiver standards. Smartphone battery life is incredibly short compared to transceiver battery life. Often a smartphone battery would not last a single day – especially in the cold when searching for a signal. By contrast transceiver bettery life is required to last 200 hours at +10C and then search for an hour at -10C. Smartphones were generally not considered robust enough for this critical safety role. The software was susceptible to crashing & any impact of exposure to moisture could render them useless. They were also not supplied with a purpose made carrying harness like a transceiver. 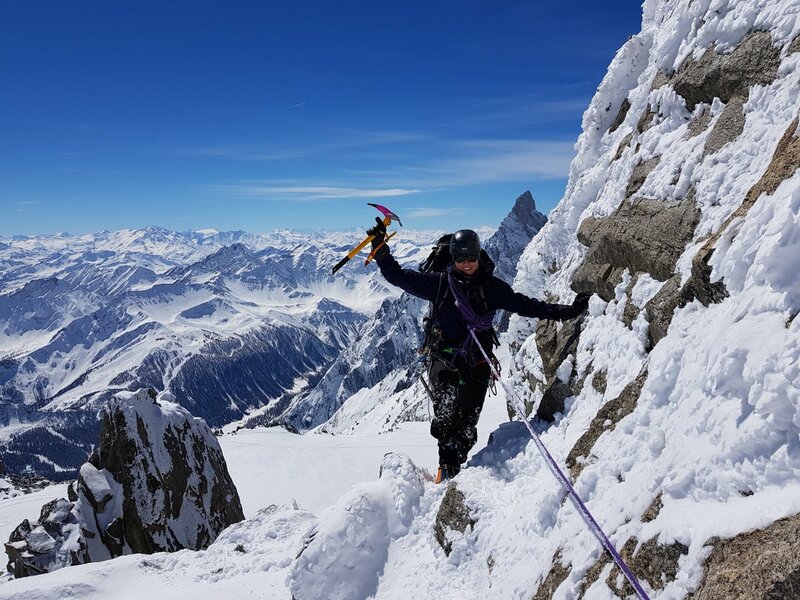 Issues with phones causing interference between transceivers are well known about and the development of phones to be used in avalanche searches could further complicate this issue. 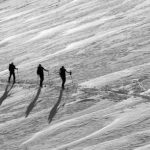 Despite specific disclaimers from the manufactures of the smartphone apps about them not meeting international transceiver standards, they are being marketed as avalanche search devices. On the basis of this research the Canadian Avalanche Association states that the smartphone apps should not be used to replace a transceiver. Furthermore they expressed genuine concern about the position in the market of such unregulated apps that were nowhere near conforming to international transceiver standards but had the potential to attract users to them as a cheap & simple alternative to buying a (relatively expensive) transceiver. 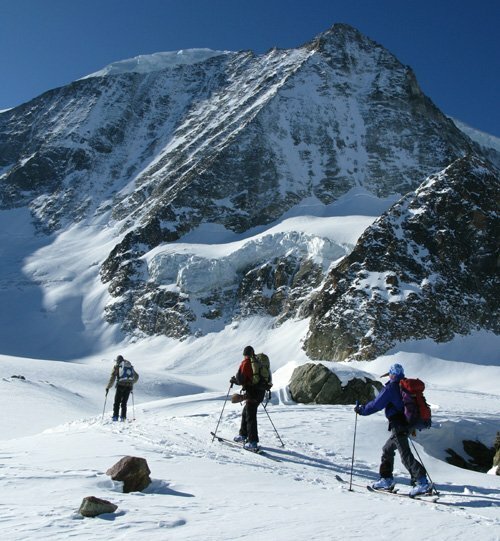 They strongly recommended maintaining a prevailing culture of the use of dedicated 457 kHz avalanche transceivers for all winter sports involving their use. Read the full ‘Smartphone Avalanche Search Apps Review’. Along with fellow mountain professionals I recently attended a 2 day avalanche training course in Tignes run by French Guide & Avalanche expert Alain Duclos. 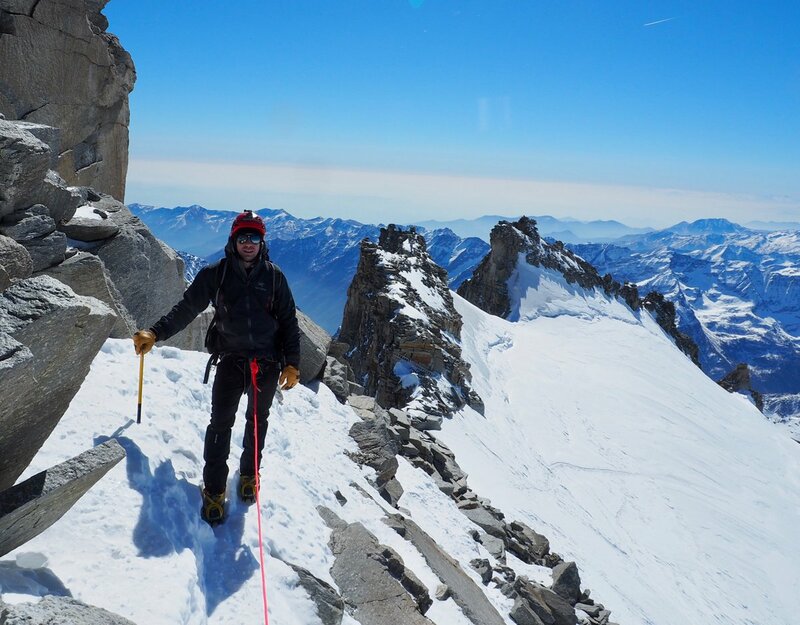 Alain has an impressive array of experience working in the field of avalanche research, analysis and training over the last 20 years in his capacity as pisteur, mountain guide, avalanche safety consultant for French departments on road safety and as a technical expert in French legal cases concerning avalanches. 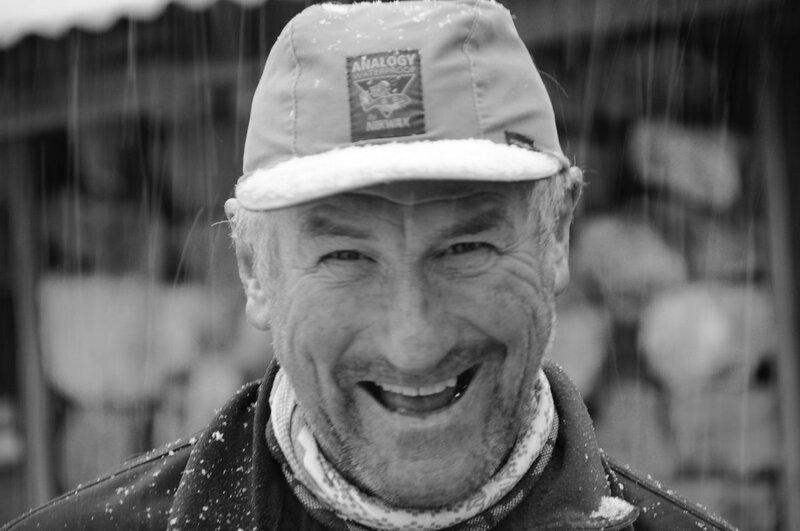 Of course, as the saying goes, ‘the avalanche does not know that you are an expert!’ So, despite working alongside various scientists in the development of theory, Alain takes a pragmatic & practical approach to his avalanche training courses and I will briefly summarise some of the most salient points here and include links to some of his training materials. The concept is based on the important principle that the models we have for predicting avalanche risk are already ‘maxed out’. Thus progress is better directed towards effectively managing the unexpected. Indeed, the acceptance of uncertainty is an important stage in developing safer travel strategies. An underlying theme Alain’s courses is to be suitably aware of the prevailing hazard level. Using the avalanche bulletin is only 1 of 6 parameters used to do this, see below for the others. Alain’s 4 levels of Vigilance are RELAXED, CONCERNED, ALERT & HAZARDOUS. How you operate & manage a group should be reflected in what state of Vigilance you are in. Avoiding risk was discussed as a preferable alternative to managing risk, where this was an option. Sometimes this is easy to do, sometimes it isn’t. In the latter case the vigilance level needs to dictate the behavior of the group. It is important to recognise that snow stability tests are only useful in giving an extremely localised indication of conditions (eg within the snow pit itself). 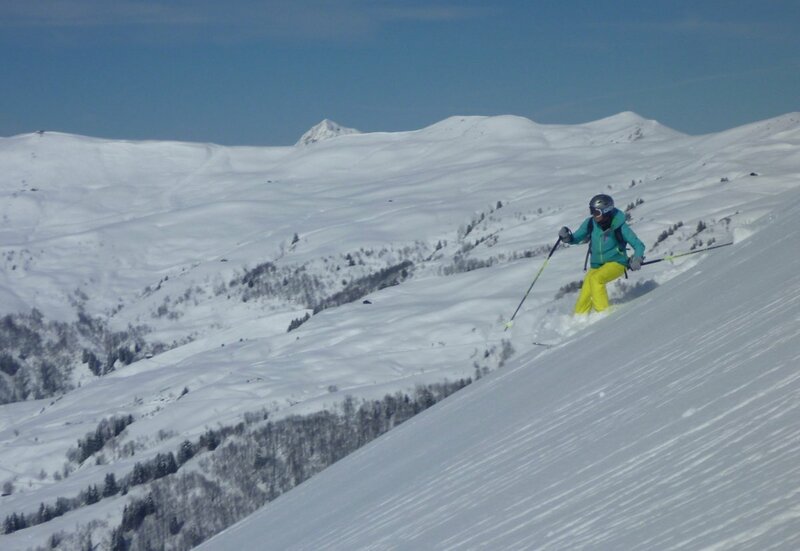 The appearance of an apparently stable snow profile on one slope should not be taken to mean that other slopes, even of similar elevation & aspect, will offer similar conditions. Experiments have shown wild variation in stability tests between pits dug right next to each other. In many cases avalanches were triggered on a slope which already had multiple other sets of tracks on. The impact of a skier was sufficient to overcome the ‘bridge’ provided by the intervening slab and so cause the weak layer to collapse. 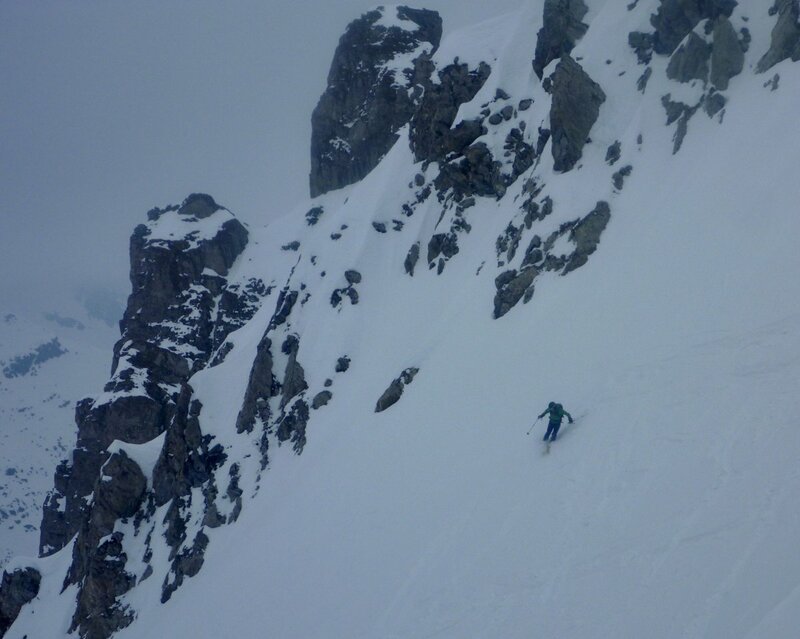 This triggering was more likely to be related to the position on the slope and thickness of the snow slab than the weight of the skier group although both are relevant. In addition to the thickness of the slab, the hardness of it is also relevant. A ‘Bridging Index’ has been produced which is defined as the layer hardness multiplied by the thickness (See Scott Thumlert & Bruce Jamieson 2013 for more details). This describes how stress from human triggers penetrates the snow cover. Their study showed that softer layers allowed stress penetration deeper in to the snow pack and thus the probability of triggering a weak layer at depth. By contrast harder / more supportive layers limited the depth of stress penetration by spreading it out laterally. This process is related to the general suggestion that soft slabs are easier to trigger but hard slabs are capable of much wider propagation once triggered. The idea of rocks & trees providing ‘Islands of Safety’ is a misnomer and infact the very opposite is the case. Rocks & trees are more likely to be associated with easier triggering of a weak layer due to eg thinner snow packs & greater development of depth hoar crystals. 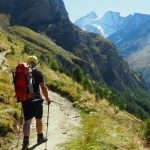 Perhaps the most tangible way of managing your travel options safely is paying very close attention to terrain. This means slope angle. Alain was clear about stating that the traditional teachings of the different hazards of concave & convex slopes was flawed. 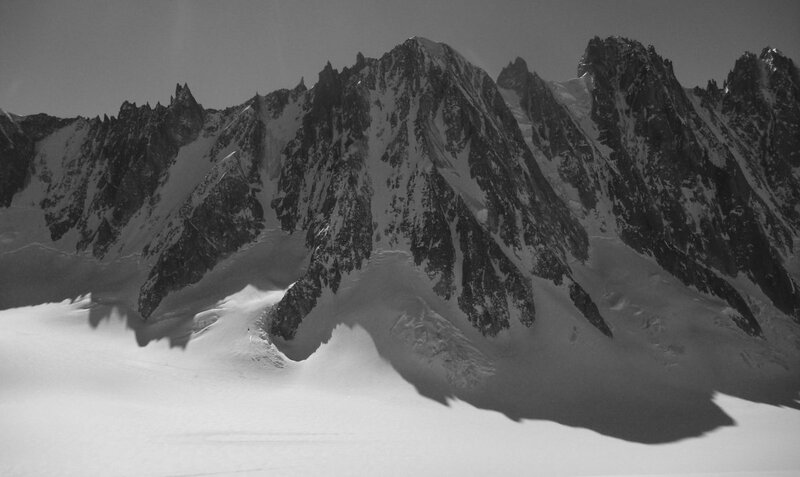 The simple fact is that avalanches nearly always occur on slopes over 30 degrees. Absolutely, you can trigger one remotely whilst on much less steep ground but the convex / concave concern is a red herring. The issue is slope angle. You can keep an eye on this regularly, easily & accurately with the new Pieps slope inclinometer strapped to your ski pole. Prior planning with a map can give good advance appreciation of slope angles, particularly with the Swiss ski touring maps where all terrain over 30 degrees is shaded pink. It would be good if the French IGN maps could be produced with a similar feature. Be aware of other teams around you on the mountain & avoid skiing above other parties if possible. Here the Mammut Pulse is in Phase I of the search where no signal is being received. The avalanche debris must now be covered in a methodical but swift and efficient action until Phase II begins at the point of detecting a transmitting transceiver. transceiver in transmit mode. The leader of the search & rescue team must ensure all that people searching or nearby do not have transmitting transceiver that will confuse those searching for the burials. An avalanche can become highly significant as soon as it is big enough in size to knock a person off their feet. This is a very small avalanche! 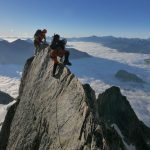 This new version promises to represent a significant improvement in the area described by Mammut as “Assisted Fine Search and Probing Indication”. Having run many transceiver training exercises I would say this is one of, if not the most consistent way of losing critical time during the search for a buried victim. Stay tuned on this page for a review of the upgrade in late November. 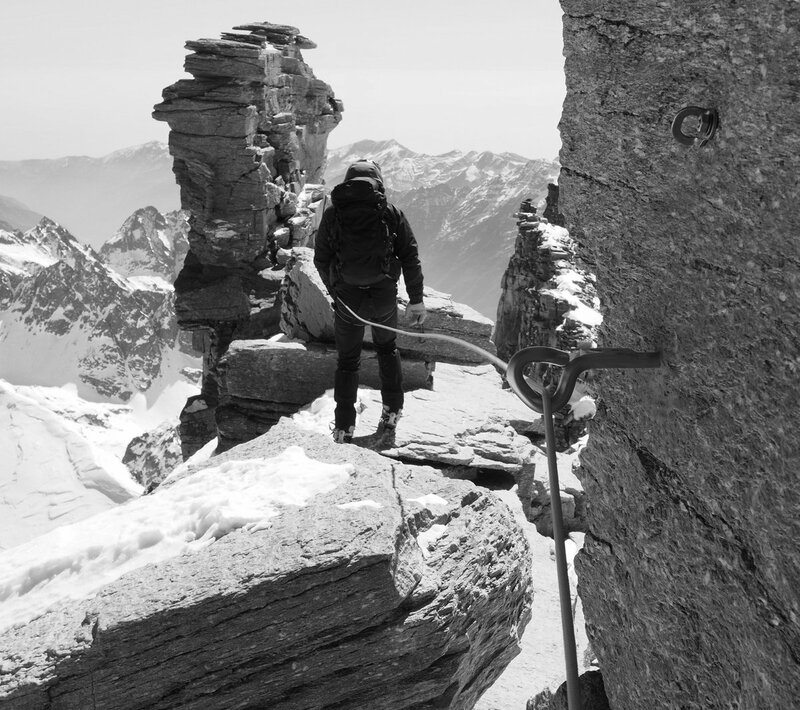 PS Mammut Element users will be interested to know that the 2.0 software upgrade should be available in 2014 – for next winter. 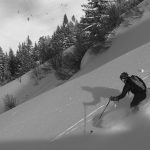 The Utah Avalanche Centre have produced an interesting article analysing the statistics around avalanche airbag use, burial & survival rates. If you are thinking of buying an airbag, read this article first….and then buy one. 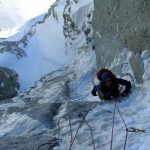 Perhaps the most salient point it makes is that unsurvivable terrain (eg gorges, crevasses, cliffs) will still be unsurvivable with a correctly detonated airbag. This may be stating the obvious – but changes to peoples ‘risk thermostat’ with the increases in safety gear are real and need to be kept in check. In a similar way to the old adage about the best way of improving car safety being to add a big metal spike directly in front of the driver, perhaps the best way for many people to make good terrain decisions about where to ski. would be to remove all items of avalanche safety equipment. 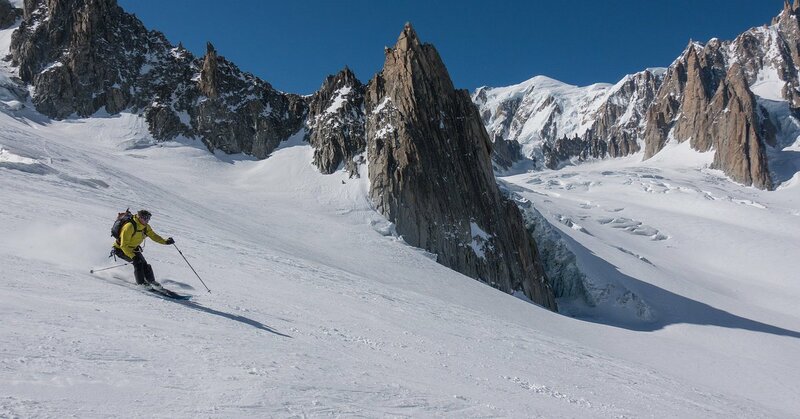 Imagine how you would ski if you had no transceiver, shovel or probe. No helmet or avalanche airbag. No phone or friends with you & nobody knew where you were. One option would be to behave like that anyway – but still take all the safety kit with you!! 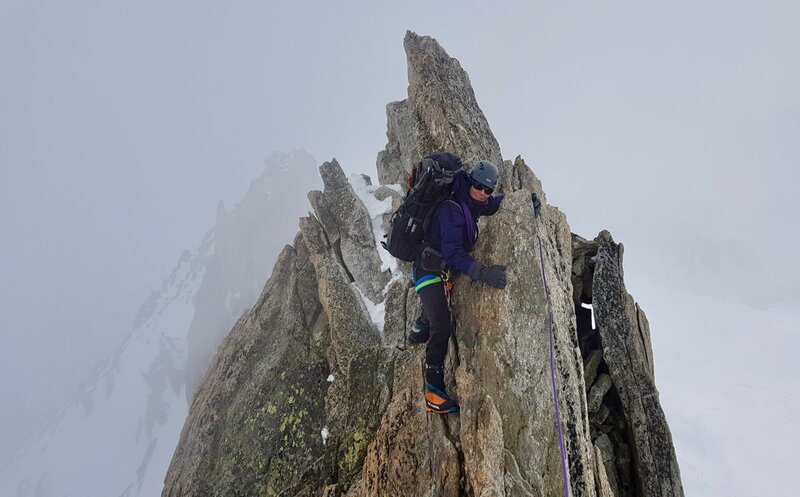 This 3 day avalanche training course run by Geoff Banks on behalf of the American Institute for Avalanche Research & Education was attended by 8 British Mountain Guides and provided a useful & thought provoking course. 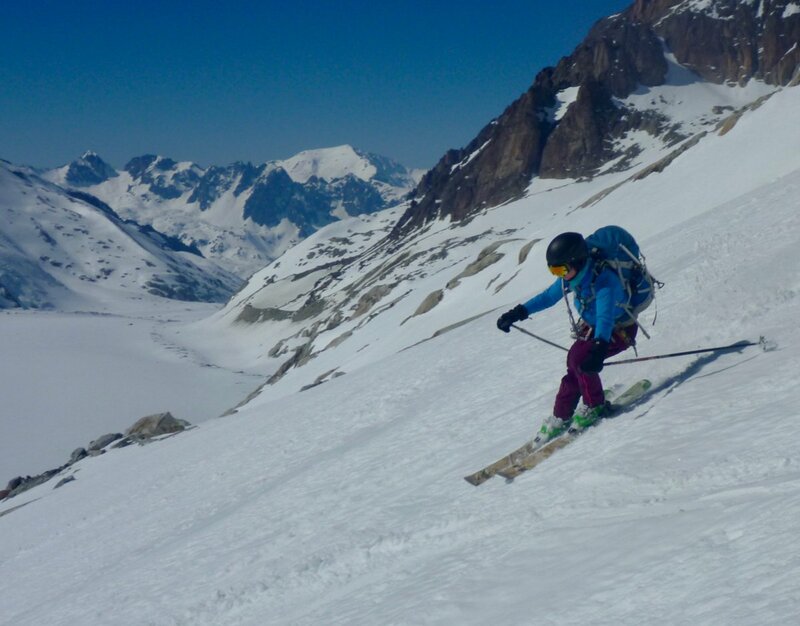 It inspired many of us to take a more methodical and even documented approach to the way we gather information in order to make good decisions about where to ski off piste and go ski touring. The process of recording written information as part of a data gathering & risk assessment process is widespread among many hazardous occupations. 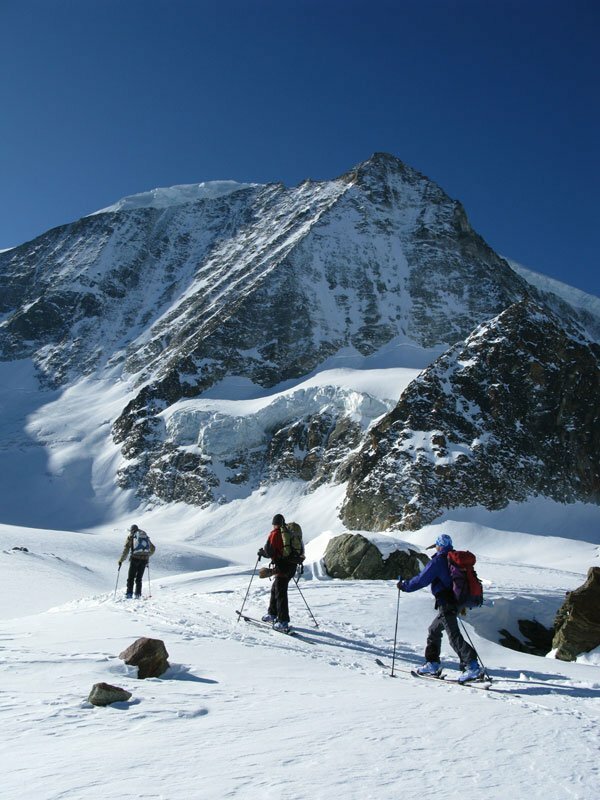 Very few skiers or mountaineers will undergo a written process as part of planning a trip in to the mountains although the AIARE field book does offer a simple & concise way of structuring the gathering of this info. Some avalanches are ‘Black Swans’ eg very surprising & highly unpredicatable. However many of the incidents people are caught in are ‘White Swans’ eg well predicted by the available data. The aim of much of the gathering of information, vigilance & safe travel strategies is to avoid the ‘White Swans’. On a more practical note, the aim of the data gathering is to answer 2 fundamental questions. Where do we not want to ski today? 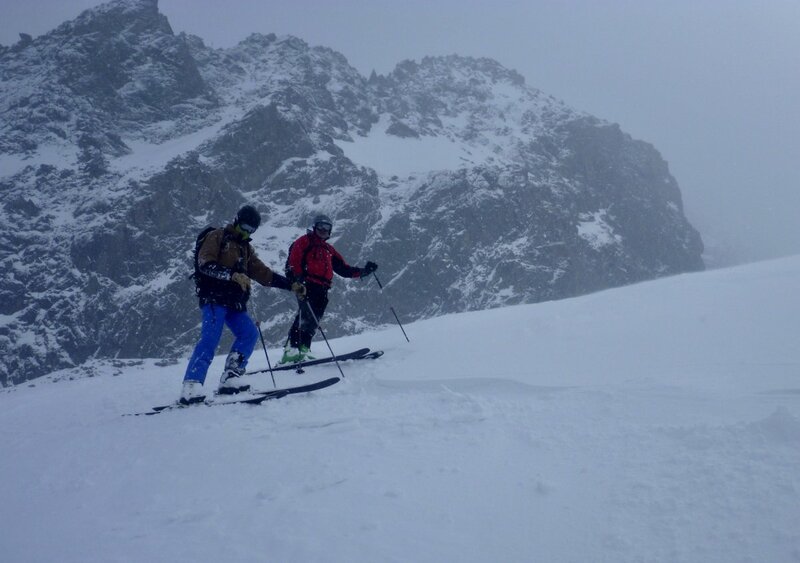 (too risky and / or poor snow) and Where do we want to ski today? (less risky & good snow). This process is clearly not definitive but it does seem more likely to produce a better result than not doing it in some form or another. Recognition of teamwork in advance. Agree to travel & ski together as a team. Respect the right of veto of another team member.